Enter Drawing Around the World: Europe from Brookdale House. This neat geography curriculum offers students the chance to combine two subjects (art and geography) into one tidy package. The idea is that students work on one (sometimes more, particularly if they’re closely related like Norway, Sweden, and Finland) country or countries per week. 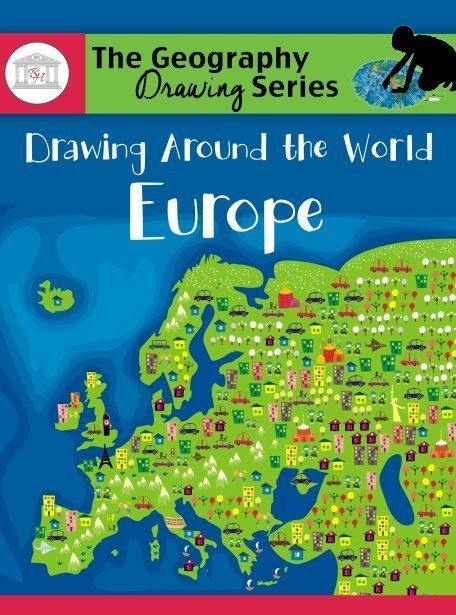 They learn to draw the shape of each country as well as where it’s located within the European continent. By the end of the course, they should be able to draw and label their own map of Europe from memory. Each week, the series is the same – and it’s built around a 4-day week, which as regular readers will know is perfect for us! On day one, the new country or countries are introduced. Students find them on a map (we have a world map hanging in the school room) and then are given printouts from the e-book on which they practice tracing the country. Then they’re given a blank map where they draw the new country from memory. In addition to the drawing on this first day, there’s a table to fill in with data about the country. These facts they learn are area, population, capital city, people/culture, major religion(s), climate, and resources. On the website for the purchase of the curriculum, they provide links to family-friendly websites to help you find all of this information, as well as specific things to pray for in regards to the people of the countries. Days two and three are similar to day one, just without the fact table. Students practice tracing and drawing the countries (working with all of the countries studied thus far, not just the new ones). The fourth day of the week, students are expected to name (write down) all of the countries studied to date as well as draw – on a blank sheet of paper rather than the pre-printed map provided – a map of Europe. Obviously, this isn’t done all at once. Like everything else in this curriculum, it’s done on an “add as you go” method, and they should draw only the countries studied so far. Because I received the e-book version of this product (available for $22.95; a printed version is also available for $25.95), there was some printing involved. I looked through the curriculum and figured out a method that I thought would work for us, without requiring tons of printing all at once or regular printing each week. Here’s what I did. I had four copies of the traceable map and four copies of the blank map printed for each child. This would get us through the week of each country studied. The boys had one version of each map for each day of the week. Instead of printing the fact table pages, I wrote the categories of facts into their geography notebooks, and they filled them out in there. The maps went into a separate folder that they pulled out each day. I taped a large sheet of blank paper (folded in half) into the front cover of their notebooks for the day four map, and they used that to draw and label their own map of Europe. This map was expanded upon each week with the new countries learned. By the time we finish the curriculum, they’ll each have a complete map of Europe that they drew themselves. While not perfectly aligned with the way the curriculum is set up, it worked for us. The kids and I all learned a lot during the review period for this product. The fact table included in the book is a great way to turn what might otherwise be a flat, boring, too-easy geography curriculum into something more. It would be a great jumping off point to have students write a report on a specific country. This could be done on each country each week to flesh it out a bit more, or you could have students pick their favorite country when you get to the end of the book. Either way would be a benefit for students, I think. Because of all the different things included in the data collection portion of the week, it would also be pretty easy to turn this into a full on unit study. Make a chart showing the sizes and populations for math. Or explore what population density means. Use the major religions box to learn more about said religions and to pray for people of those religions who need Jesus. The people and culture box would be a great jumping off point for social studies or history – how did they get to be the way they are? Learning and comparing the climates of different countries would be an interesting science study. And so on. So as you can see, I was very impressed with this curriculum, and we will definitely be continuing to use it even though we don’t “have to” anymore. In addition to Drawing Around the World: Europe, Brookdale House also has Drawing Around the World: United States in which students follow the same basic outline, just for the different states in the US instead of the countries of Europe. And lest you think they’re all about geography, they also offer a huge variety of curricula in different subjects including, but not limited to, Spanish, Grammar, Writing, and History. 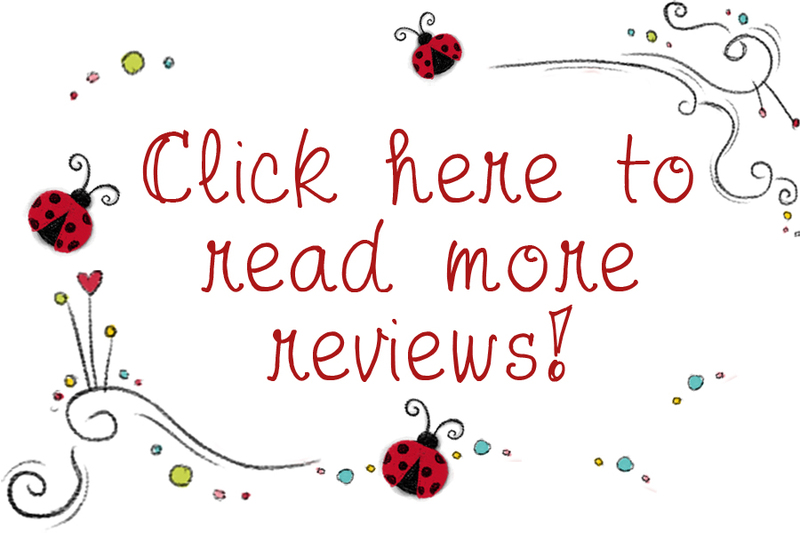 Members of the Schoolhouse Review Crew had the opportunity to review something from each of these categories, so make sure to click the banner below to find out more about those products.